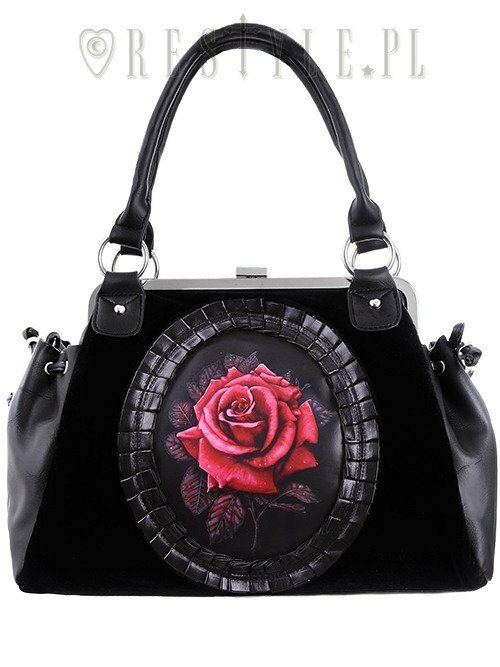 Black Velvet, gothic romantic handbag "RED ROSE"
Handbag made of solid black velvet and faux leather decorations. 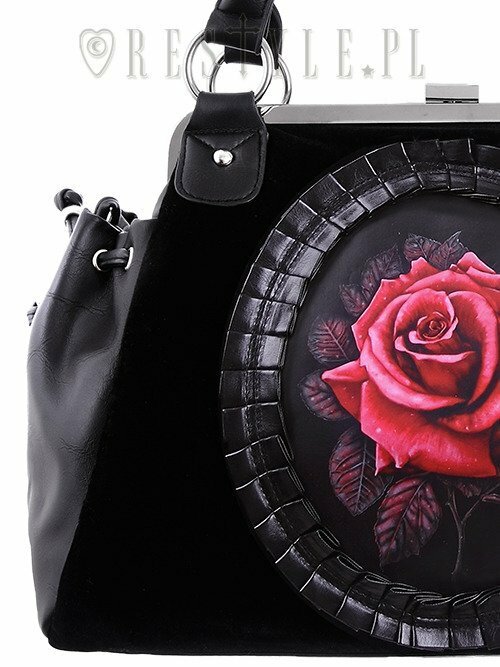 In the center of the bag there is beautiful, detailed print of red rose, surrounded with faux leather frame. Stainless steel frame is decorated with floral ornaments and white zircons. 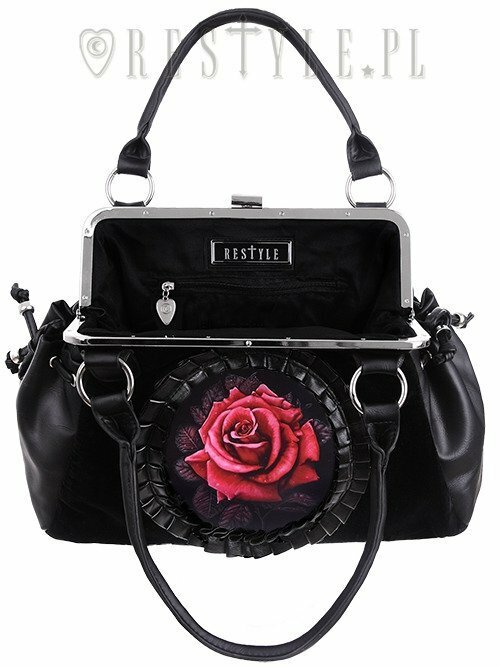 On the sides there are two roomy pockets made of faux leather with velvet flaps fastened with magnet buttons. Спасибобольшое! Сумка просто шикарная. у меня нет слов) Теперь я ваш постоянный покупатель!